Meshes where the number of facets is not user controlled on creation. furMaterial.furLength = 3; // Represents the maximum length of the fur, which is then adjusted randomly. Default value is 1.
furMaterial.furAngle = Math.PI/6; // Represents the angle the fur lies on the mesh from 0 to Math.PI/2. The default angle of 0 gives fur sticking straight up and PI/2 lies along the mesh. furMaterial.furColor = new BABYLON.Color3(0.44, 0.21, 0.02); // is the default color if furColor is not set. A greyscale image can be used to set the fur length. A speckled greyscale image can produce fur like results. Any greyscale image with affect the fur length producing a heightMap type effect. 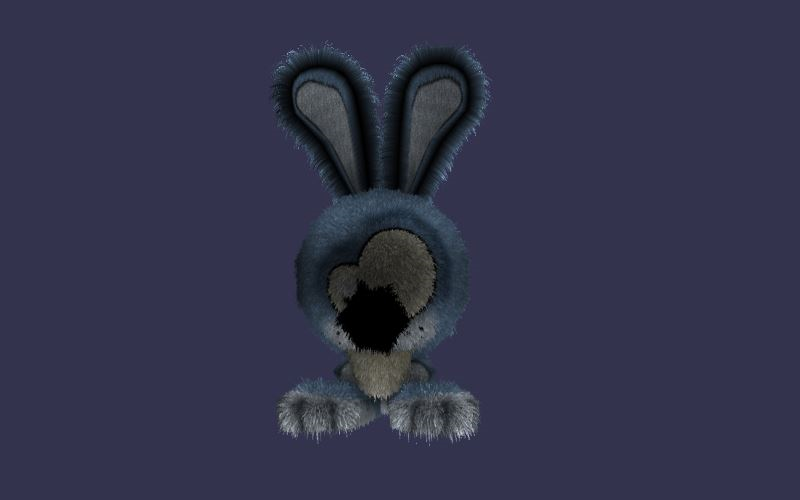 furMaterial.heightTexture = new BABYLON.Texture("speckles.jpg", scene); // Set the fur length with a texture. 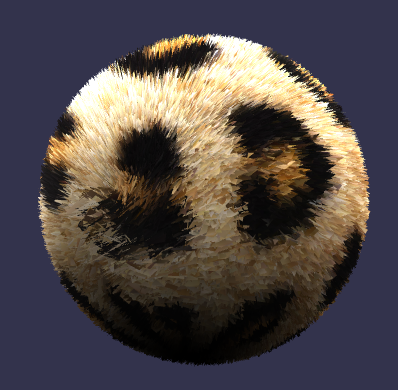 furMaterial.diffuseTexture = new BABYLON.Texture("leopard_fur.jpg", scene); // Set the fur length with a texture. Unlike the ground mesh where you can supply the number of subdivisions or the sphere mesh where you can supply the number of segments the majority of meshes are created using a minimum number of facets. To apply the fur material to these the number of facets per face of the mesh needs to be increased. The function increasedFacets will do this: When n is the number of points per side added to each side of a facet the number of facets is increased by the square of (n + 1). For sharp edged meshes such as a box the shader can separate the faces since the faces meeting at the corners have there own vertices and normals at these vertices. These meshes are flat shaded. If this separation of the edges is a problem then the function convertToSmoothShadedMesh() can be used. However this can then produce some artefacts at the edges.